I am a big baseball fan. I love to watch the games unfold. I see the strategy and execution of the players and managers work and at times fail. I see errors cause losses and luck initiate wins. I see great teams come and go. I see star players retire and new players replace them. 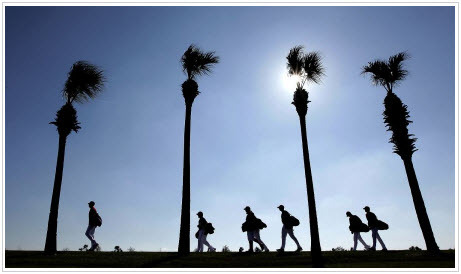 At this time of year the teams gather in the warmer climate cities for Spring Training. It is a time when the veterans get back into shape, coaxing their bodies into one more season. It is the time when rookies try hard to make the squad. It is time when player selections are made, work on the fundamentals is renewed and strategies begin to take shape that prep teams for the regular season. This is also the time of year when new software starts rolling out from Autodesk and we start prepping for the new releases. Older software that is replaced with new releases. It is time to start thinking about your CAD environment and the health of your veteran software, the value of the rookie programs and the strategy of how you will embrace this possible change. Here is a little chalk talk about what you need to do to get in shape for the coming season of rollouts. First you will hear from Autodesk about the official kickoff of the season with the lifting of the embargo on discussions. There have been hints and nods and winking of the tech eyes at what might be in the shipping products,but no one is really allowed to discuss it openly yet. Autodesk requires Alpha and Beta testers to be under a Non Disclosure Agreement (NDA) in order to participate. One requirement is that the person respect the date that Autodesk sets of official discussions to begin. Start talking early and you might suffer the disdain of Autodesk and a lot of others who are respecting the “gag order”. You will soon start hearing from the reviewers about the next release of software. Some have spent countless hours fiddling with Alpha and Beta releases of the platform. Some have taken the time to test and retest the software. They do not move forward with the reviews until the embargo is lifted but once it is, they unleash their pent up wealth of knowledge and experience with the newest release. Look for the best at places where you typically find discussions. Bloggers, press outlets, Social Media, AUGI and many more will start sharing the info. 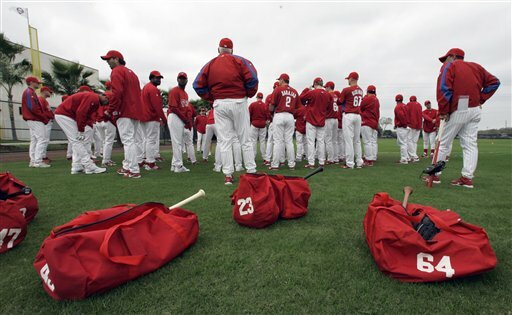 Once the spring training is well underway you will start hearing from the early adopters. These are the folks that buy early and implement quickly. They will spot the bumps in the road and the potholes to avoid. They will soon be sharing.or ranting, on the virtues and foibles of the software in the real world. Go to the AUGI Forums to find these people chatting it up over the next month or so. As the new release takes hold and starts to move forward,we will move from Spring Season in the Regular Season. That is when you start thinking about adopting it yourself.